A colorful backdrop enhanced ARW's much anticipated stop in Music City. The three members who each had a significant role in the band YES at different times last played together in 1990 on the highly successful YES 'Union Tour'. 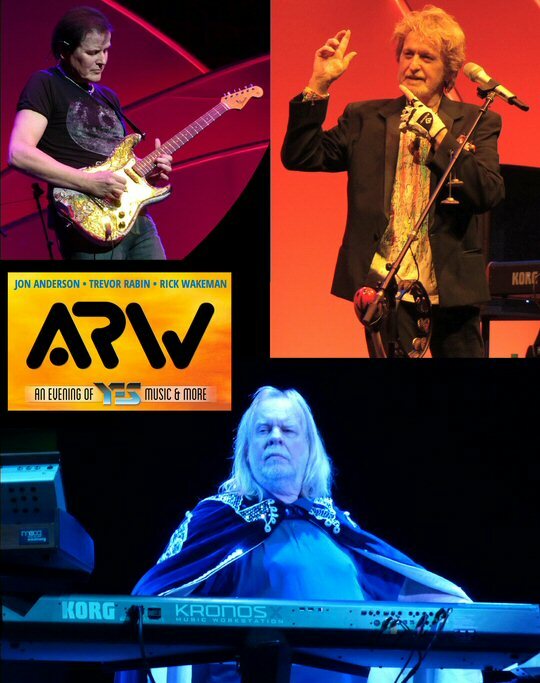 Now, AWR has convened with the express purpose of showcasing the iconic voice of Jon Anderson, the outstanding guitar talent of Trevor Rabin and the keyboard wizardry of Rick Wakeman. The stated aim of the band is to restore the standard of excellence in performance that they established with their 1990 shows. The opener "Perpetual Change" was particularly fitting for a group like YES that has had countless members and reshuffling of configurations nearly yearly since their founding. With Jon Anderson at the helm ARW does hold sway with the diehard fans who were dismayed and disgruntled when the more established franchise carried on without him over a decade ago. Cries of "No Jon, No Yes" could be heard around the web as the angelic front man bravely fought back to recover from a life-threatening illness. And make no mistake the enchanting highlight of the evening's two-hour and 10 minute concert was the inspiring and heart-warming performance delivered by the now 72 year old singer who many thought had permanently lost the power of his celebrated high-pitched voice. Not so in Nashville. Jon was consistent, strong and seemingly delighted to be recapturing the glory that comes with leading one of rock's most important and iconic collective. When the ARW tour was announced many fans believed - or were led to believe by statements from the band themselves - that this was going to be a mostly "YesWest" affair. That term refers to the fact that there were two bands working off of the family tree in the late 80's with one being led by Rabin - the South African guitarist/singer/songwriter who propelled a reinvigorated group to the top of the charts in the 80's. The reality at showtime however was a more balanced and mixed setlist of 70's and 80's YES. The well-played "Hold On" from 90125 introduced the AOR stylings of the era but that quickly transistioned into "I've Seen All Good People" from 1971 revealing that ARW is content to lay claim to their complete historic catalogue. 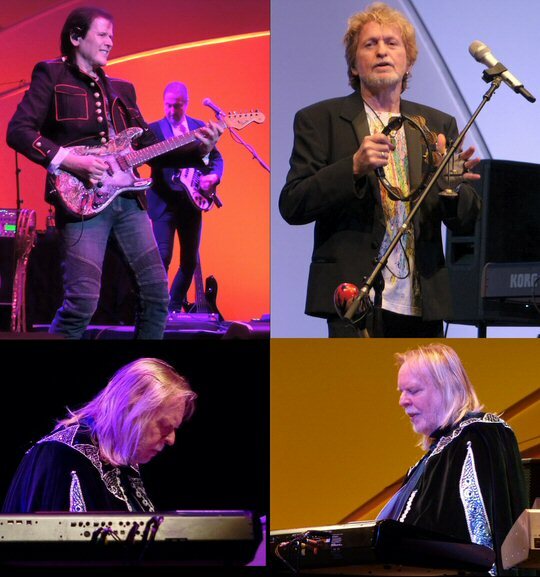 The early high-point of the night came with "Rhythm of Love" from Big Generator complete with its Beach Boys style harmonies, lush layers and the back and forth trading of licks between Rabin and Wakeman that had ARW grooving like a jamband. Fans cheered in approval at the coda and conclusion. A heavenly version of "Heart of the Sunrise" earned ARW their biggest standing ovation of the night. The nearly sold-out show lost only a bit of its punch when during "Changes" Trevor's guitar was so out of tune he could be seen frantically calling, ironically, for a change of guitar to remedy the situation. More classic YES followed with "Long Distance Runaround" with Lee Pomeroy aptly and respectfully adding "The Fish" as tribute to the fallen founder Chris Squire whose presence is still sorely missed in either outfit. The other member of the rhythm section was Louis Molino III who added just the right touch to the demanding prog rock compositions. More highlights included "The Meeting" from the Anderson Bruford Wakeman Howe album that found Rick and Jon reprising their onstage duo that they took on the road several years back. "Awaken" was a 20-minute excursion that caught the attention of the attendees and signaled the turn that brought the show to a close with the obligatory "Owner of a Lonely Heart" and the expected "Roundabout" in its familiar encore spot. "To be able to sing and perform with Rick and Trevor at this time in my life is a treasure beyond words," said Jon. "I'm so excited to create new music and revisit some of the classic work we created many years ago, it's going to be a musical adventure on so many new levels." "After 18 years of immersing myself in film scoring, I couldn't be happier to be going out on tour with Jon and Rick," says Trevor. "After we worked together for the first time on the Union tour in the 90's, we were determined to play together again. It's a dream to be going out with Jon and Rick after so many years. We are all completely dedicated to this project." Until then, fans of Jon, Trevor and Rick can take solace in the fact that the trio are working on new songs. They also plan on continuing the party and love-fest in 2017 with "The Rest of the World Tour" set to hit points in the UK and Europe with additional possible dates to be added.